having to put a lot of extra hours into it? on inventory in order to make more money? If the answer is yes, this book has been created just for you. In it, I tell you how I’ve done exactly that with my own business. It’s all a matter of working smarter and not harder and definitely not spending lots more money. 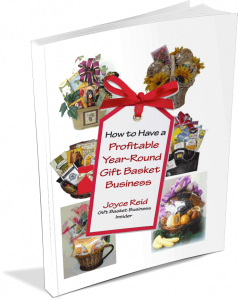 In this e-book, we give details about what we have done to grow our own business from a small local gift basket business to a nationwide gift service business.